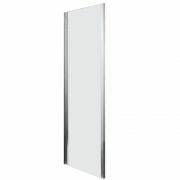 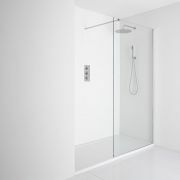 Perfect for use in a small bathroom or en-suite the Premier Ella bi-fold shower door provides easy access and opens inwards to help save on space. 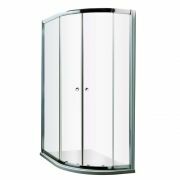 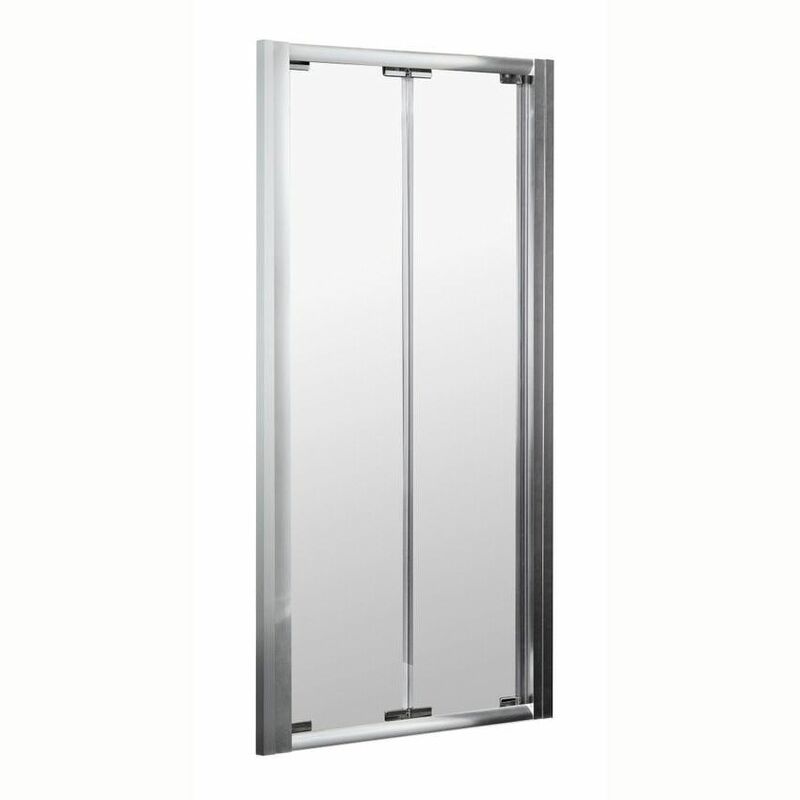 Featuring a satin chrome frame finish to blend in with any decor this high quality bi-fold door has 5mm toughened glass for peace of mind. 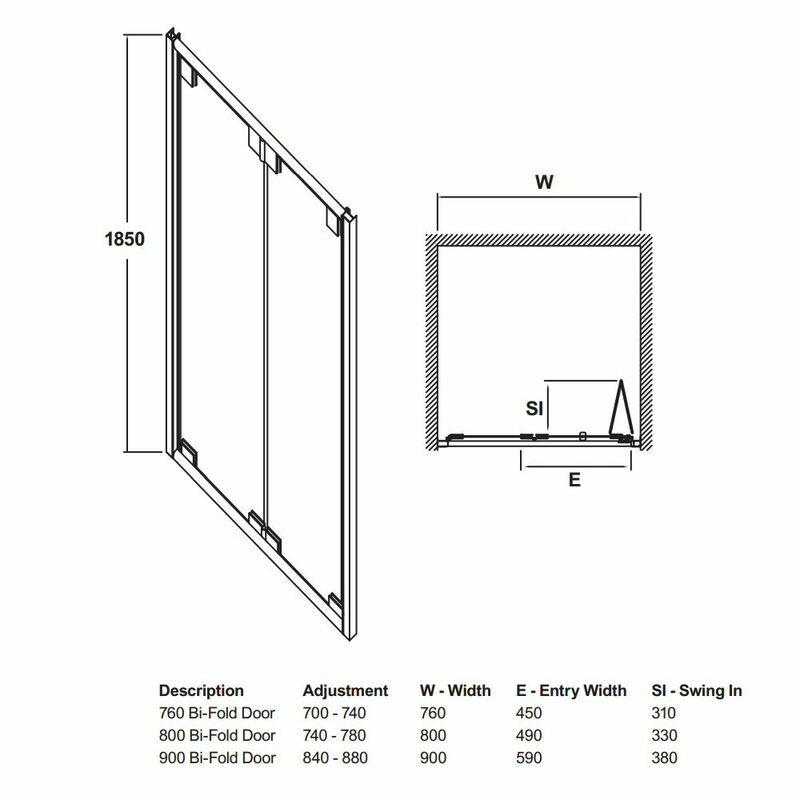 Available in a range of sizes including 760mm, 800mm and 900mm this bi-fold door can be fitted into a recess or installed with an Ella side panel, available to purchase separately. 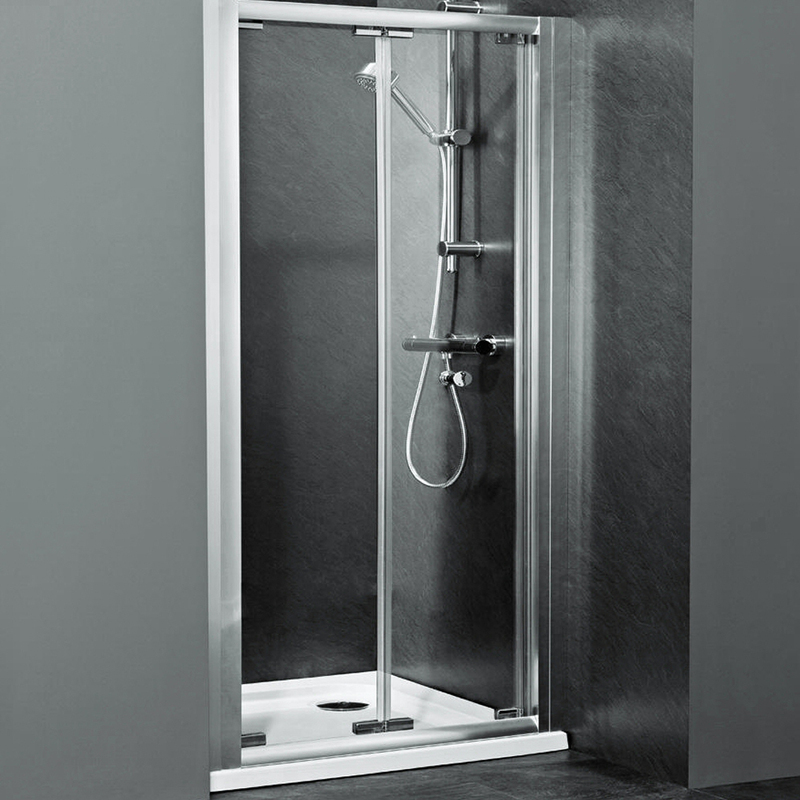 Please note: a shower tray is not supplied.